A lovely Edwardian swivel ladies office chair. These chairs were designed for use in a large office environment during the beginning of the 20th century. 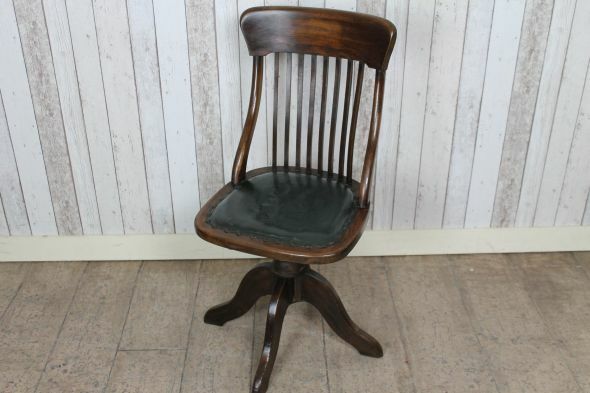 This chair is in lovely condition for its age, and has the standard slatted back design and upholstered seat which is covered in a green leatherette style material. This could easily be re-covered to suit your interior.